For upper-division undergraduate and graduate level courses in restaurant management, foodservice equipment, and hospitality management courses. 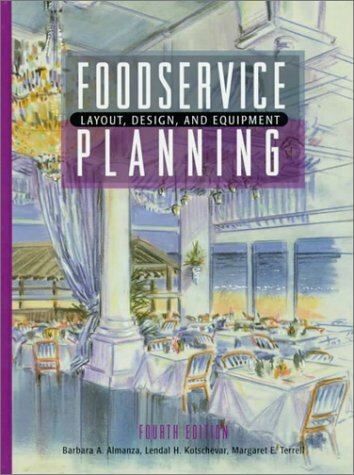 This comprehensive text has become a standard for designing and equipping a foodservice facility. In addition to working in a number of worldwide foodservice facilities, Dr. Kotschevar has been a culinary consultant for the United Nations, Pope John Paul II, and General Foods. In his experience, graduates in the field of hospitality management lacked the knowledge base of how foodservice is planned. This text was written to address that need and to also prepare students to favorably operate and maintain a facility. Lendal H. Kotschevar, PhD, FMP, is Professor Emeritus at Florida International University.Valentino Luciani, CHE, is a former lecturer in the William F. Harrah College of Hotel Administration at the University of Nevada, Las Vegas.